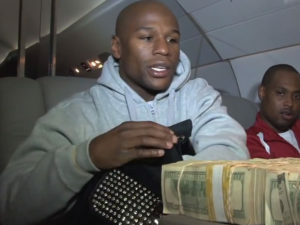 Floyd Mayweather, JR. never one to not show off was at it again in Boracay a fancy island in the Philippines. Oy Vay are you going to hear it today… Keep those emails coming at my age they are welcomed! So much to talk about, so little time… Let’s get to it RSR readers. Gennady “GGG” Golovkin… The other day, I got asked over some bagel and lox if “GGG” was washed up? This guy was a real meshuga! 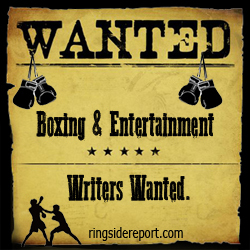 “GGG” is getting up in age, but is far from washed up! It’s been almost seven months since his first loss to Canelo Alvarez and he needs to sign for a big fight because though he is not washed up, interest is waning for the former champion. Javier Diaz started out as a professional Flyweight in 1981 and fought as a professional until 1999. He turned pro on April 1, 1981 (No fooling!) with a 4th round tko of Hector Benavides in Mexico. “Suzuki” won his first 16 in a row before losing by 5th round tko to Mario Gonzalez (10-1-1, 9 KO) in Harlingen, TX. on Aug. 17, 1982. 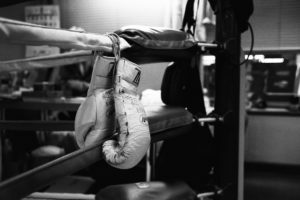 He continued to battle on with streaks of wins and losses, winning several different Mexican State Titles along the way. He was a journeyman who fought several world champions, and world ranked contenders including: Gaby Canizales, Orlando Canizales, Cesar Soto, and Paul Gonzales before fighting for and winning the Mexican National Flyweight Title with a 12 round decision over Willy Salazar in June of 1989. He lost that title in his first defense but fought on and challenged for several minor title belts. A classic is defined as a work of art of recognized and established value. There is definitely no shortage of classics in Hollywood. There will always be the discussion as to which movies should be considered classics. Naturally, we all have our favorites as some movies mean more to us than others, which bares the question- Should or should they not be included in that category? I think it’s about the impression it has made on movie making, and how it made you feel while watching it. Those are few reasons as to what a classic means to me. 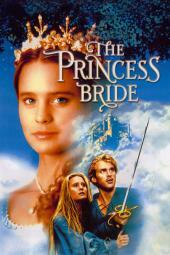 I am one of many that think THE PRINCESS BRIDE is one of those movies. 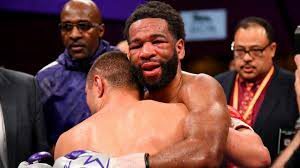 Couldn’t help but think of the line “For whom the bell tolls” from a famous John Donne poem while watching the career of talented and courageous Lamont Peterson come to pass last month on March 24th. In an entertaining see saw bout with Sergey Lipinets, Lamont waged war at an uncharacteristic hellacious pace trying to keep his shorter adversary at bay. 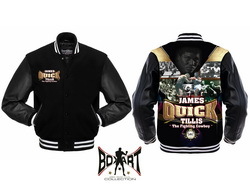 Both boxers tested each other’s chin and will before the cataclysmic stoppage in the tenth round with one vital second left on time keeper’s clock. After trading bombs Peterson was staggered and struggled to maintain gravity as he tried to find neutral footing in an attempt to collect himself, but Sergey was relentless. 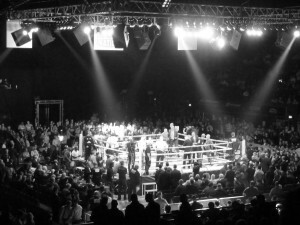 A second or two later after a four punch combination Lamont fell on his back forcing trainer and lifelong mentor Barry Hunter to throw in the towel which sailed high above the ropes and catching the referee Harvey Doc’s attention before it hit the canvas in front of sold out MGM National Harbor, in Oxon Hill, Maryland. 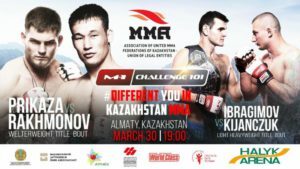 Kazakh power was on display at last night’s which featured a pair of M-1 Challenge title fights, in Almaty, Kazakhstan. 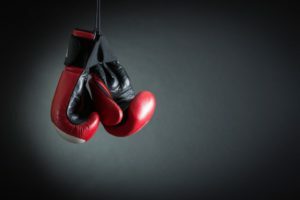 Home country fighters won five of five fights, including the main event, in which undefeated Shavkat Rakhmonov (11-0) knocked out his Russian opponent, Danila Prikaza (11-3-1). Rakhmonov thrilled his countrymen in attendance, unleashing a barrage of unanswered punches on Prikaza, until the referee halted the fight midway through the second round (pictured below), capturing the vacant M-1 Challenge welterweight crown. The card, which was promoted by King’s Promotions in association with Titans Boxing Promotions, was streamed LIVE (and now can be seen on-demand) all of the world on the King’s Boxing Facebook Page. Former New England welterweight champion Derek “The Surgeon” Silveira has a new opponent for his April 12th main event fight for the vacant N.E. welterweight title on a stacked “Riot at The Rim” card, presented by Granite Chin Promotions (GSP), at The Rim in Hampton, New Hampshire. 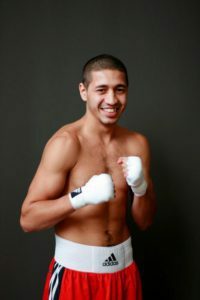 Silveira (15-2, 8 KOs), fighting out of Salem, MA, will now take on 19-year-old Mexican knockout specialist Roberto “Viejo” Valenzuela, Jr, (14-0, 13 KOs), who has replaced injured Travis “The Outlaw” Demko (8-1, 1 KO), of Stoughton, MA, in the scheduled eight-round headliner. Doctor Curmudgeon ® Thank You, Doctor – You See Me! After her examination and history of a very lovely woman of a certain age, Doctor Curmudgeon® exited the door of her exam room. 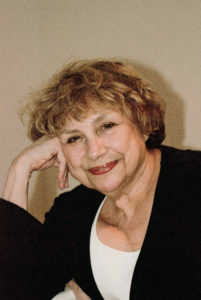 She uses “of a certain age,” as this woman was in her eighties, and, by no means, could she be called, “old,” She was working, exercising, eating well and in better shape than many patients in their twenties. Welcome to part II of our brackets of boxing dream matches. 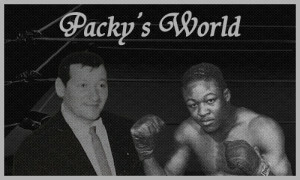 Remember, this is a P4P tourney and the fighters and rankings were compiled by a group of boxing fans/historians. But the picks are mine. I would love to hear your opinions, today we look at the first two rounds of the West, post-1975. So let’s go!! It happens every spring, sport fans across the county wait with bated breath for the NCAA Basketball Tournament. Once the brackets are announced people all over the country start “bracket pools” at work, or with friends, sometimes for fun, more often for money. Well friends, I must admit that I am one of those people who waits, biting my nails, waiting for the selections and matchups. 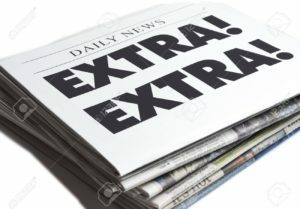 And when it starts, especially the first two days (which I think America should make a national holiday, since once 12:15 PM EST hits productivity across this great land goes down) I am glued to my TV. But alas, after the first two days my brackets are what they call “busted”. I still love watching the games, but to quote the great B.B King, the thrill is gone. Joe Kenda, John Walsh, Tony Harris… well my my and my! 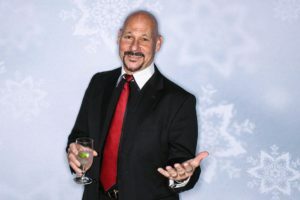 Catering to true crime fanatics everywhere, Investigation Discovery is once again taking viewers behind the scenes of their favorite TV channel with the return of the ultimate fan convention, IDCON 2019: DANGEROUS MINDS. This year’s theme will focus on the psyche of unpredictable criminals, offering the chance to interact with ID’s stars, see exclusive clips from new and beloved ID series, and immerse in experiences built specifically for super sleuths. The fourth annual IDCON returns to York New City on Saturday, May 18 from 9am-5pm at Center 415 – a two-story event space which will be transformed into the ultimate true crime fan experience for IDCON 2019: DANGEROUS MINDS. THE ATLANTA CHILD MURDERS captivated more than 1.45 million viewers on average for Investigation Discovery, America’s leading true crime network. From Executive Producer Will Packer and Jupiter Entertainment, the three-hour premiere (9p-12a) grew in viewership every hour, making ID the #2 ranked network in ad-supported cable for delivery of W25-54 and #3 for P25-54 during the time period for Saturday, March 23rd. The special reached over 3.5 million unique viewers P2+ across its Prime and Late encores. Jacob “Lil Badger” Rosales with a record of (10-4) will be putting it all on the line as he challenges for this coveted honor. His opponent, Quinton McCottrell (15-23) is a veteran of over 30 fights and is poised to make this a war against Rosales. 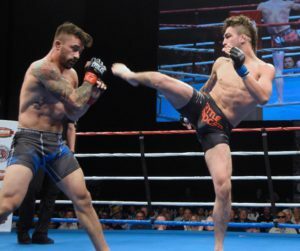 MCCottrell’s last bout was a second round submission of Ian Butler on Fight Club OC’s Aug 23rd 2018 show. McCottrell has every intention of continuing his winning streak against Rosales come fight night. The official weigh in took place for tomorrow night’s (Thursday, Mar. 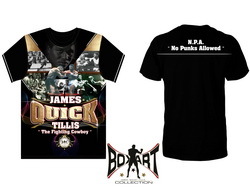 28) RJJ Boxing on UFC Fight Pass® pro boxing event at Cowboy Dance Hall in San Antonio, Texas. 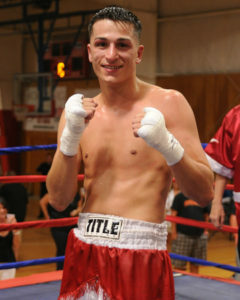 Kendo “Tremendo” Castaneda (15-0, 7 KOs), San Antonio, TX 140 lbs. 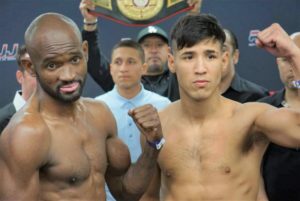 Rudy “AK47” Bernardo (24-3, 18 KOs), Elia Pina, Dominican Republic140 lbs. 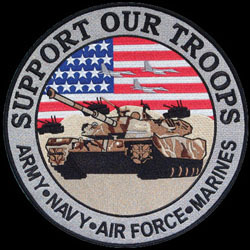 Bramson’s Beach & Ballsy Banter: T.W.O.A.A.A. It has filtered into films and commercials. It has become pervasive to the point of leaving people (especially me) scratching our collective heads in ignorance, as we seek to crack the code. What is this strange new language that requires deciphering? TWOAAA. The World of Acronyms, Abbreviations, and Absurdity.